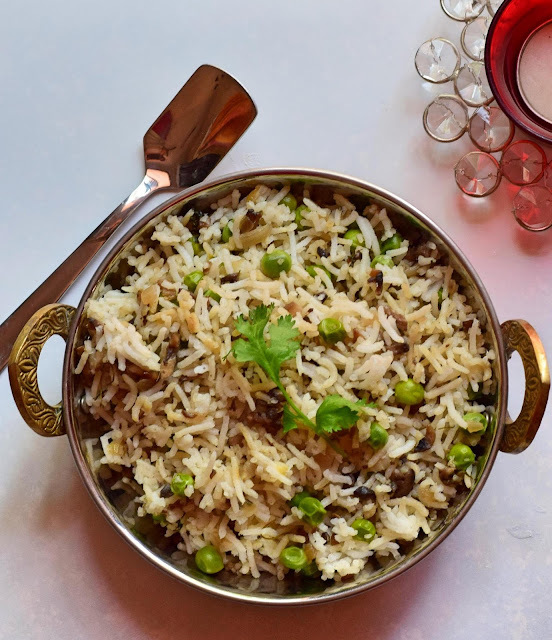 Dhingri Mutter Pulao or Mushroom Peas Pulao is something you can rustle up easily if you have mushroom and peas at home. 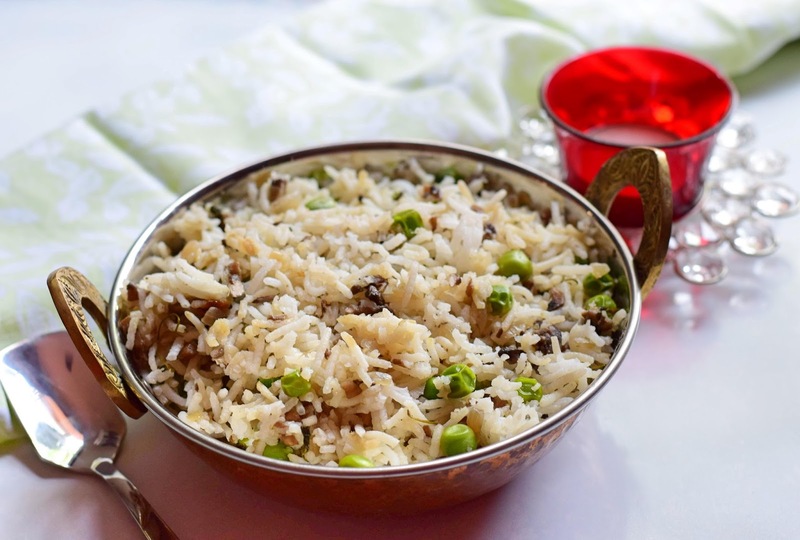 The mild flavours in this pulao is sure to appeal to the young and old. 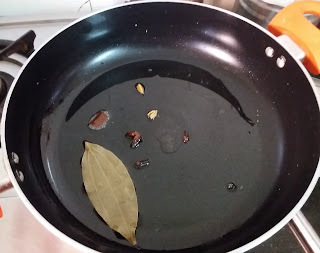 Heat oil and add bayleaf, cloves and cardamom. 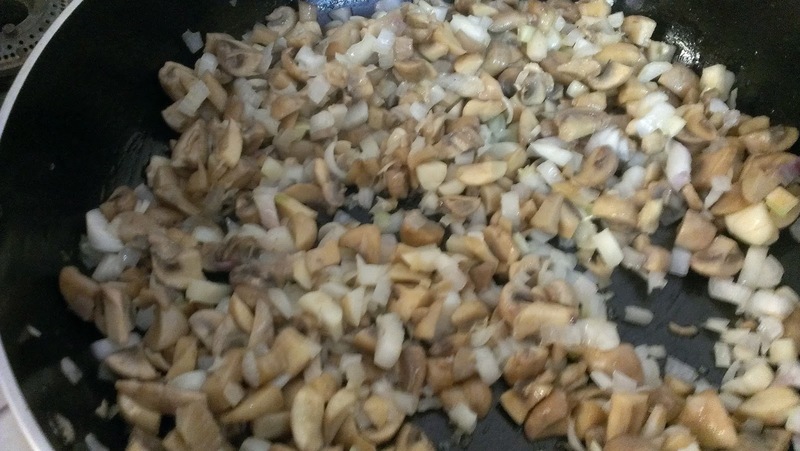 Saute till a nice aroma comes. 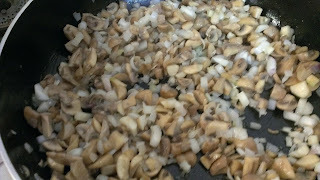 Add onions and sauté till translucent. 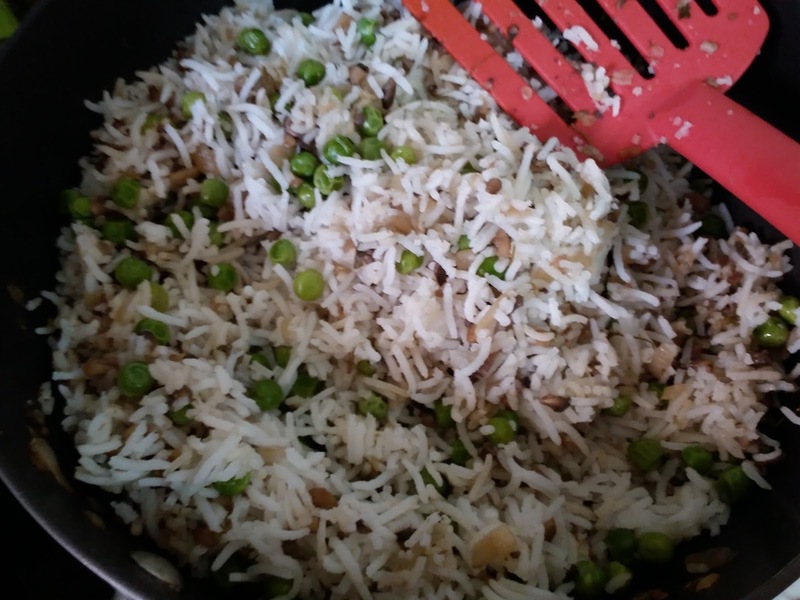 To this add the mushrooms, salt, kasuri methi and sauté till the water from the mushrooms are dry. Add rice, peas and mix thoroughly. Serve with raitha or any gravy of your choice.